A loan of $450 helped to buy pandanus (raw plant materials) for her weaving business. Mele is 30 years old and a married woman. She has three children. Two of her children are currently attending school. Mele is running her business of making tapa (a patterned cloth). She had her loan from SPBD as her second loan cycle to buy her pandanus for her weaving. Mele is working together with her mother in weaving. They weave only ta'ovala (woven mat worn as traditional dress) and sell it to their families and relatives overseas. She earns her income from her business and uses it to help her family's financial matters and also her business and the repayments of her loan. In the photograph Mele is shown sitting on her ta'ovala to do her weaving. Her business running very smoothly and actively. 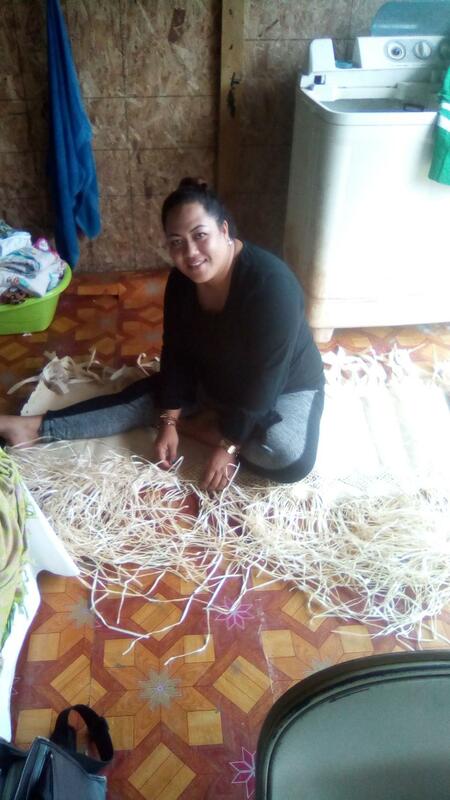 Mele is confident in working hard in her business to reach her vision for the future, which is to continue running her business so that her family benefits from it in the future. This loan supports financially marginalized women in Tonga with credit to help them establish businesses and improve their livelihoods. SPBD Tonga provides financial literacy training to help borrowers better understand their income and expenses, and also offers market-specific guidance throughout the loan period. In Tonga, there are currently no other microfinance institutions. By supporting this loan, you're helping empower women with the credit and education needed to start and grow their businesses. SPBD Tonga provides loans to help people living in poverty start and grow small businesses. Along with financing the organizations existing microloans, Kiva partners with SPBD to support the scaling of new loan types, such as higher education loans. Additionally, Kiva funding is directed towards efforts to reach the most remote communities in the country’s outer islands. Kiva supports SPBD Tonga’s work to increase access to finance, education and better agricultural practices.